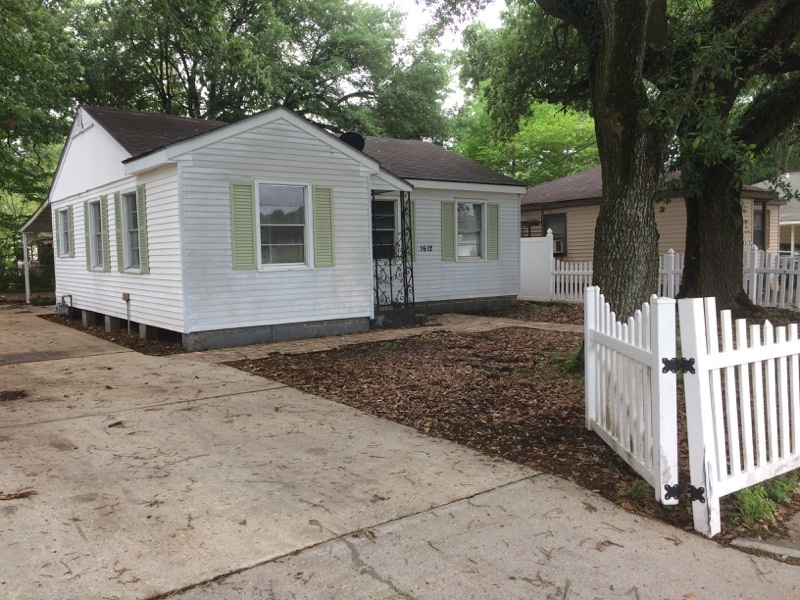 1612 Louisiana Avenue, Lafayette, LA 70501 listed for $49,900. Home is located not far from new shopping at Louisiana/I-10 exit. Lot is completely fenced-in with beautiful, mature trees. This is a limited service listing. Sellers represent themselves. Seller is George Gooding (337-501-7068; cocos7777@gmail.com). Seller will negotiate for themselves. Send offers to reliancerealestategroup@gmail.com and copy all offers to seller at cocos7777@gmail.com. Contact seller for anything else in regards to this listing. Schedule all showings through CSS. Reliance Real Estate does not hold property deposit checks. LA/LO will NOT Advise the seller on PA’s; LA/LO will NOT Arrange Appointments; LA/LO will NOT Assist seller in counteroffers; LA/LO will NOT Negotiate for the seller.